I am inspired every day by you, the community of Amazon sellers: entrepreneurial, supportive, ambitious and energetic. Your passion for building big and meaningful businesses is contagious, and I thrive on it every day. Seriously. Years ago when I started selling on Amazon, I didn’t have the slightest clue that my life would be so impacted by Amazon sellers. I am so lucky to have met such incredible people. OK, so I didn’t want to sound like I’m giving an Oscars speech, but I want to give back to the community that has given me so much. I think that there are a few ways that I can do so: time, money, and coaching. 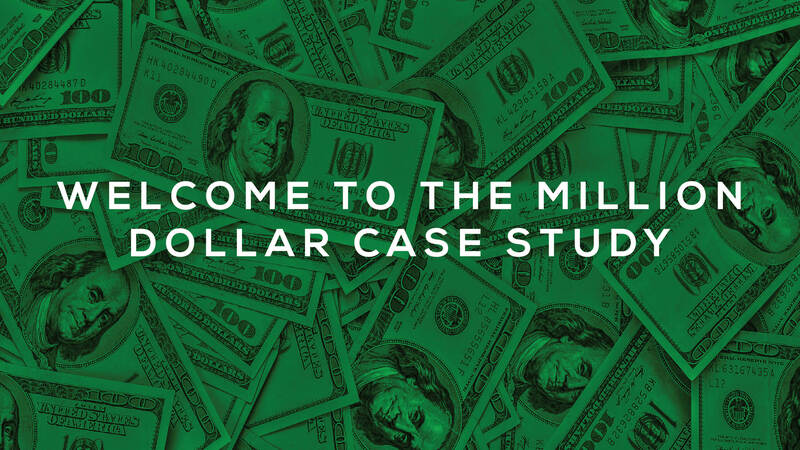 I want to bring you in on my latest project, which I am ambitiously calling, “The Million Dollar Case Study”. In short, I am going to sell one million dollar’s in physical products via ecommerce. The best part is, I will document every step of the way. In the end, we will donate all proceeds to a charity. It is going to be an amazing journey, and I want you to come along for the ride! With the collaborative launch last year, we launched Jungle Stix—the bamboo marshmallow sticks that sold nearly $200k in the first year. Here’s a snapshot of our sales (on a monthly basis) from January 1st, 2016 through February 1st 2017. $203k in that time frame. I’ll take that! That was a big success, and ultimately we raised more than $51k that we’ve donated to Doctors Without Borders! Heck yeah, that was a win for all of us! (And a nice added bonus of coverage in Forbes, INC, and more). So how is this Million Dollar Case Study going to work? Of course that is a very simplified overview, but don’t worry, I am going to share every detail of the journey. What I think is more interesting this time around is the Amazon environment. As an ever-changing space it is now more competitive, with more sophisticated sellers, and of course more customers as well! International Marketplaces: I think going forward, one of the gaping opportunities for sellers around the world will be leveraging Amazon’s expanding footprint in new countries. I have already spotted hundreds of opportunities in each of the new marketplaces that Jungle Scout now supports, including UK, Canada, Mexico, France, Germany, and many more. I want to try selling products in these markets, which will be an interesting learning experience for everyone. And it will (hopefully) accelerate our progress towards a million dollars! Multiple Products: If you create a brand, like we did with Jungle Creations (the parent brand) and Jungle Stix (the product, ie marshmallow sticks), you can generate incremental sales just by virtue of Amazon’s recommendation algorithm. So I am thinking that if I create a brand of complementary products, we can sell more on Amazon, and have a robust website to get more sales. Win win! I am going to host webinars for every step of the process. Similar to the Jungle Stix case study, you will have “over-the-shoulder” access to follow me, so you can then use the same strategies and tactics that ­­­­I have. But this time around, I want this to be an immersive learning experience. That means I want you to follow along, and take action alongside me. 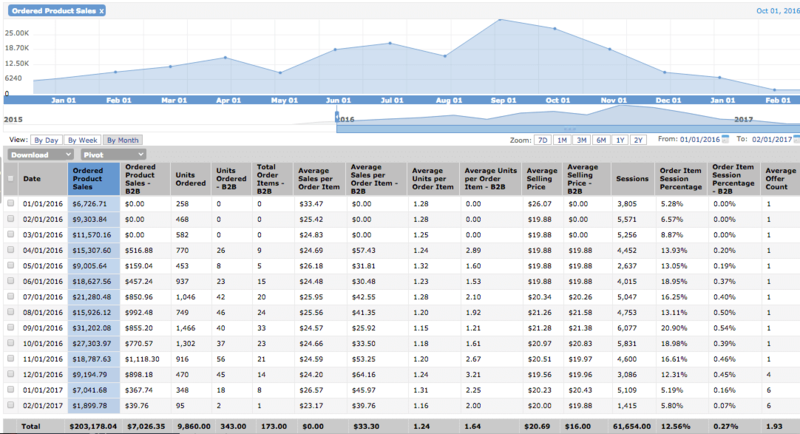 So in theory, you would be launching your own products alongside me, in real time. We’ll be using the Web App and Chrome Extension for our product research. Sign Up now so you can follow along with us! Not sure exactly how to sell on Amazon, or what you will need to do? No problem, that’s the point! I will be putting together materials for each stage. Think of it as fun homework. And voila, within a few months you too will have a profitable product listed on Amazon. Sounds fun, right?! It will be, I guarantee it. If you want to join the first (and possibly most important) session, you can register for the webinar HERE. This is where I will be sharing my strategies for finding product ideas, and come up with a whole list of ideas. From there, we will find suppliers in early March, order our samples soon after, and hopefully place our order by April. My goal is to have a product on Amazon by May. I am so excited to get this started. Join me, register for the webinar, maybe start brainstorming your own ideas of possible products that you can sell, and plan to see me on February 22nd to gather our initial list of ideas! Hey. Can you please also record the Question Sessions on Thursdays so we can watch them later? Hi, I didn’t see an answer to Patrick’s and Greg’s question about how to join/catch up now. I would like to know the same thing. Hi Greg, I’m a year late on this one, but am wondering if the process is documented somewhere so I can read/watch/follow along? If not is there another one like this planned? Sounds like a really excellent way to learn! Thank you for this post! Yes, I am a year late too. I hope we can replicate and advance along this year. Million dollar case study is helping a lot of Amazon sellers. I think we should take advantage of Amazon’s innovation and start selling private label products on their platform by leveraging their lengths. I’ve just recently found your site and have not started selling on Amazon yet so I was going to watch the videos from the Jungle Stix case study but now that I see your Million Dollar case study I’m wondering if I should just start there. I’m curious if you think I should still watch the Jungle Stix videos or is that sort of redundant at this point? Hi Lyle, welcome to Jungle Scout, glad that you found us! I think that the Million Dollar Case Study is a great place to start if you are not yet selling on Amazon–if you cover the content so far, you will learn everything you need to know to find a great product opportunity, find a supplier to make it, and get it imported. If there are things beyond that, then you can reference the Jungle Stix case study. Hope that helps! Name for the towells boo as in bamboo. Is there a way to get a copy of the Powerpoint from the Session #3? It was very informative and communicating with the manufacturers has been our hardest task so far. I’d love to be able to go through it in more detail. Thank you for all of the awesome content! Unfortunately, I keep getting the error message below when trying to register for the Webinars. Is the registration closed or I just don’t know how to use a computer? Apologies for the issues with the registration. Amazon’s servers had a crash today, and resulted in the issues with the registration with our provider. 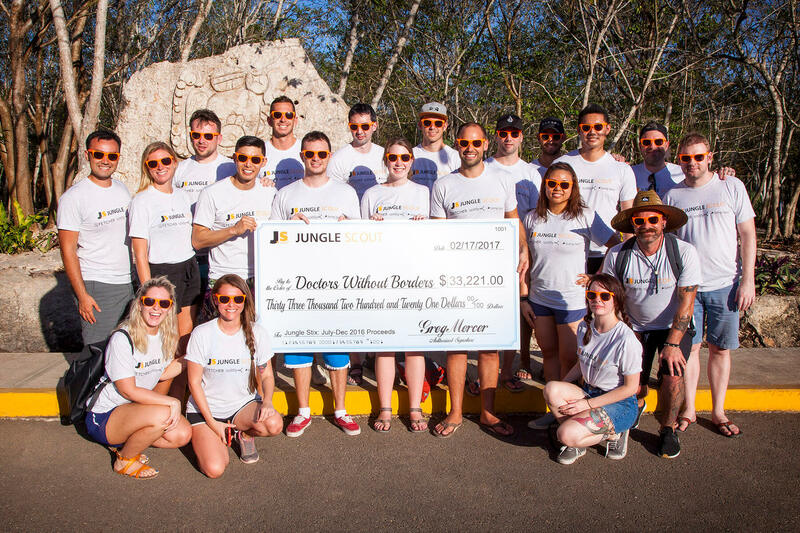 Please lot in to https://www.junglescout.com/the-million-dollar-case-study-session-2-product-research/ at 8p ET on Wed 3/1 to join the webinar. Please email [email protected] if you have any other issues. Thanks Jay! Hey Greg, I missed the first part of the webinar but I have signed up for the second. Can you send me the replay for part 1? hey, well done guys on the JS business ! i look forward to see what product(s) you will select to start with ! Thanks Diego – pleased to have you joining in with us. Make sure you let us know if you have any questions along the way! You all do an amazing job, always nice to hear you, Thank you!!! I would love to participate in a webinar but the time difference…. Thanks for the kind words, we all really appreciate it. Totally understand about the time difference (I am in the UK myself) – but I would fully recommend signing up nonetheless, as we will be sharing all of the content with replays and recaps on our website. Hopefully you can join us at a suitable time in your timezone! Hi – have just signed up for Part 2 – but missed Part 1. Is there any way to still see this? Can you email a link? Hey Jamie – don’t worry, you will have access to all of the information in an upcoming blog post very soon! Bear with us just a little longer. How do I access slides for the million dollar study? Hi Greg, I am from India and I have been using JS Web App and the extension for the past 10 days but I am yet to find profitable product to sell on Amazon. I am looking forward to this webinar with great excitement and expectations. I am excited about this. I have sent off the paperwork to start the business. I have also purchased the Jungle Scout Chrome Extention. Next will be getting the Amazon professional sellers a country. Once I find a product I am hoping you will show us how to get it shipped from China cost effectively? Greg, I am so excited for this! I’ve been cutting my teeth in the world of retail arbitrage and am ready to get into PL. I am going to follow along with you & will be prepared to take action as we go. Love that you’re donating all the profits to Doctors Without Borders – truly inspiring & such a great cause. Thanks Chelsey! Stoked you’re joining us and following along! Really looking forward to this case study. Especially looking forward on the process it takes to branch into the other Amazon marketplaces outside of the US. Me too Alan! Its going to be awesome! Hi Greg, how do you feel about the increase in direct Chinese competition. They have a significant price advantage over U.S based sellers, does this change your game plan at all? So I’m just starting my Amazon journey and I think I’ll just follow you and set my accountability to match your progress when it comes to the different stages and the time it takes. My progress so far is finishing up with my domain, and the homepage is just around the corner so now I got some basic WP skills at least:) I skipped the logo and everything with similar level of low importance since I feel it’s more procrastination then actual progress to get hung up in the small details that means close to zero looking at the total picture. Not that easy to identify the 80/20’s this early in the project though, except the ones I’ve educated myself on with the help of e-books, audiobooks, podcasts and such. Take action, get perfect later. Thanks for doing this, when I’m successful I’ll donate some of the profits to the same charity you decide to donate to. I’ll add that as one of my written goals.